The aim of the Careers & Student Support Services Department is to assist students with subject choices for Senior School, planning for tertiary study and/or direct entry into the workforce. The Careers & Student Support Services Department welcomes all enquiries. Click here to read more on the the New Senior System. Here is the current list of QCE recognised studies. The Queensland Government has the expectation that all young people should be “learning or earning”. The introduction of the Senior Education & Training (SET) Plans is a result of the Education & Training Reforms for the Future. A SET Plan builds on the types of programs already provided for Year 10 students. It helps them review past achievements, recognise their strengths and plan a program of education in Years 11 and 12. The SET Plan is developed with students in Year 10. It outlines the student’s chosen study for the Senior Phase of Learning and determines how the student’s career path will be mapped out and subsequently achieved. These SET Plans are reviewed in Years 11 and 12 during interviews with a member of the Careers & Student Support Services Department. Any subject changes that students make over the two years will need to be made with the overall intent of the SET Plan in mind. Designed to broaden each student’s experience and understanding of the world of work and career opportunities, Year 10 students undertake mandatory work experience placements during the last week of Term 2. Students are prepared for this during Terms 1 and 2 as they participate in the Year 10 Personal Development program, “The Journey Continued”. 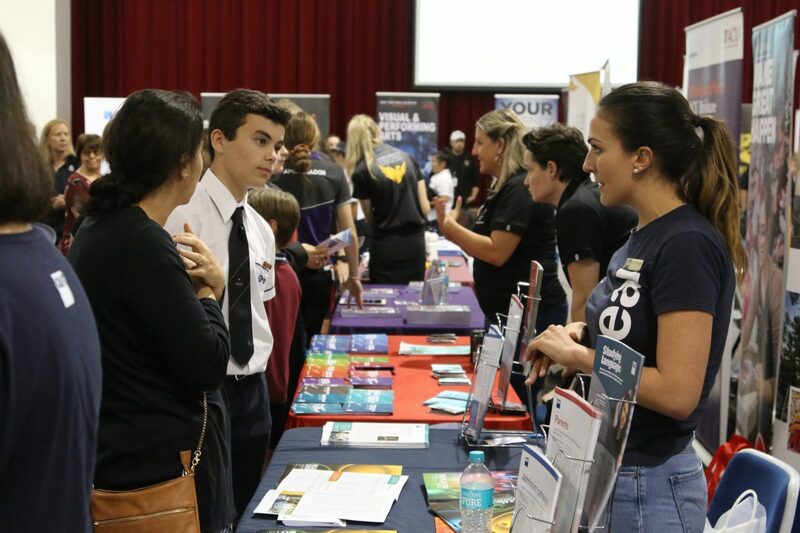 Using a range of interactive materials designed to assist the students to investigate career choices, the program essentially skills the students to make wise subject selections for Years 11 and 12. Years 11 and 12 students have access to work experience placements during the school holidays. In addition to the traditional academic pathway, Genesis offers senior students the opportunity to combine this with Vocational Education & Training (VET) subjects. VET programs enable students to undertake a nationally recognised vocational qualification and Queensland Certificate of Education (QCE) at the same time. The Vocational Education & Training (VET) program provides a number of alternative pathways for our senior students through school-based TAFE courses, traineeships and apprenticeships. Vocational pathways not only provide valuable employability skills but also offer alternative routes to further tertiary study. The Careers & Student Support Services Department offers senior students assistance in preparing a resume, letter of application or meeting the requirements of selection criteria. Students are assisted with assessing their skills and experience during a one-to-one session. The resume produced is typed and presented in a professional format, and emailed to the student for their safekeeping. The Careers & Student Support Services Department team also assists students with changes for specific job applications.